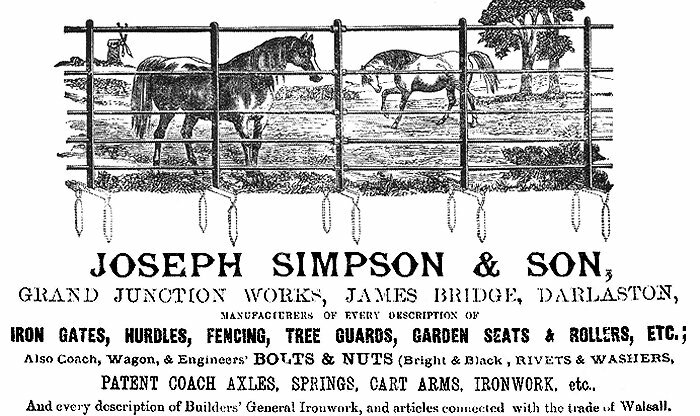 The business was founded in 1840, and in 1897 took over Joseph Simpson & Son, bolt, nut, fencing and iron gate manufacturers based at Grand Junction Works. The firm was earlier known as Simpson and Wood. In 1886 Simpson and Wood were the sole contractors for the whole of the ironwork in the New Exchange Station in Liverpool, followed by the exhibition hall at the International Exhibition of Navigation, Commerce and Industry that was held in Liverpool. It was officially opened by Queen Victoria on 11th May, 1886. The architect of the Exhibition is Mr. Henry Sumners, F.R.I.B.A., of Liverpool, and he prepared several designs for a wooden erection of a somewhat similar character to those adopted at South Kensington, but the Committee were anxious to have larger spans than could be advantageously constructed in this manner, and to obtain the desired widths iron construction would have to be resorted to; while these designs were under consideration, Messrs. Simpson and Wood, of Darlaston, who had purchased the principal portion of the building used for the Antwerp Exhibition last year, offered to erect that building at Liverpool. Eventually it was decided to accept their offer, and a contract was entered into with Messrs. Simpson and Wood to erect the building at Liverpool, and to leave it there for six months, and then to remove it, the Council having the option to purchase the building at the expiration of that period. 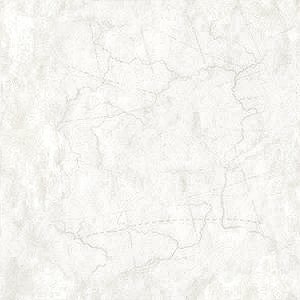 The plan of the building has been entirely re-arranged by Mr. Sumners to suit the nature of the site and the requirements of the Exhibition, and a large sum of money had to be spent in building brick walls to carry the superstructure. 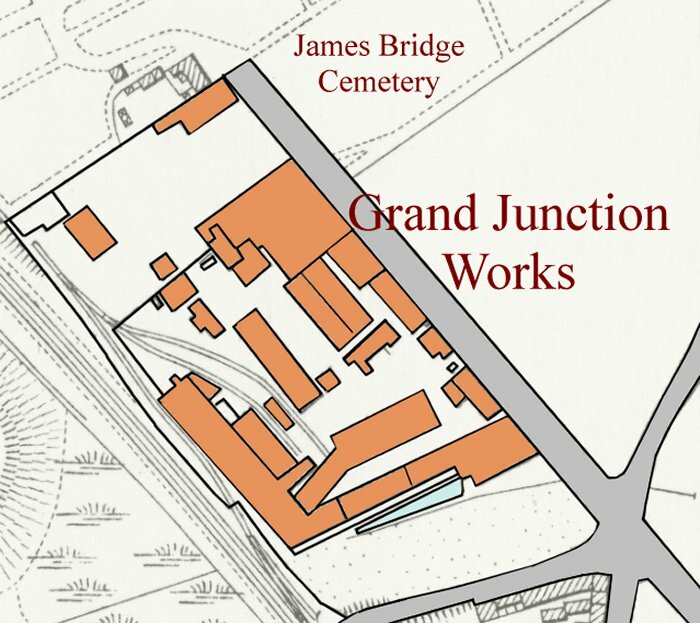 Joseph Simpson & Son's Grand Junction Works in 1884. 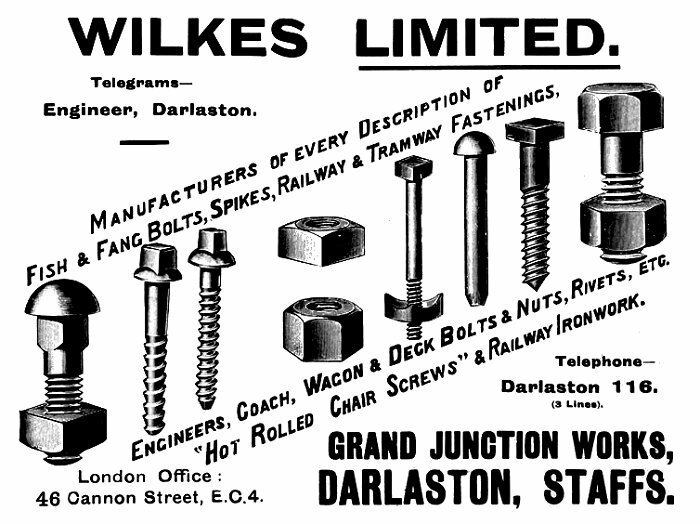 In 1890 Wilkes became a limited company, and by 1914 employed 350 people. 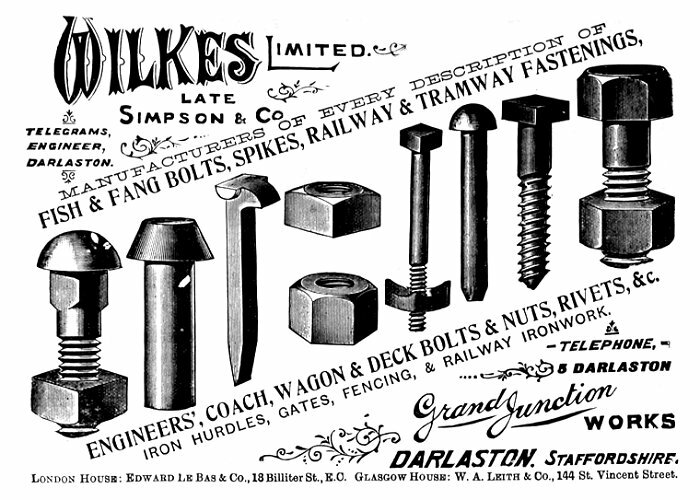 From Kelly's 1896 Staffordshire Directory. 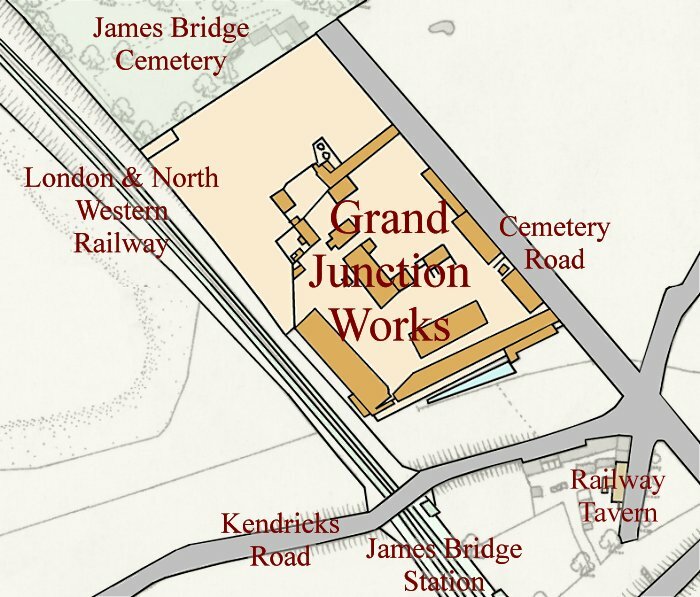 Grand Junction Works in 1938. 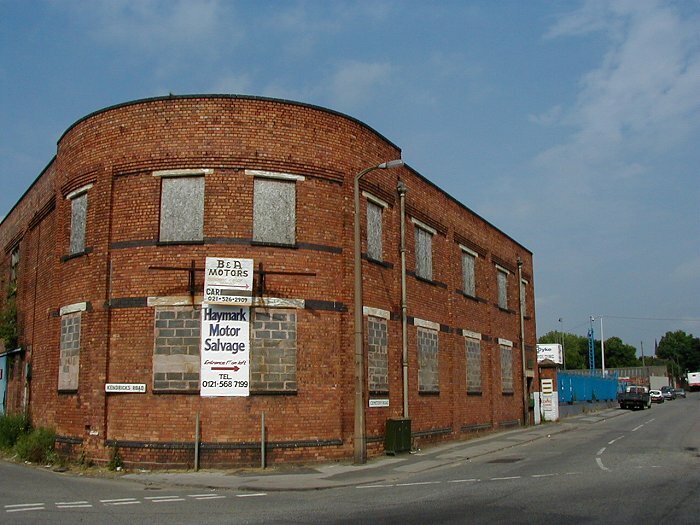 The old Darlaston Nut and Bolt works, known locally as "Bogie Wilkes". 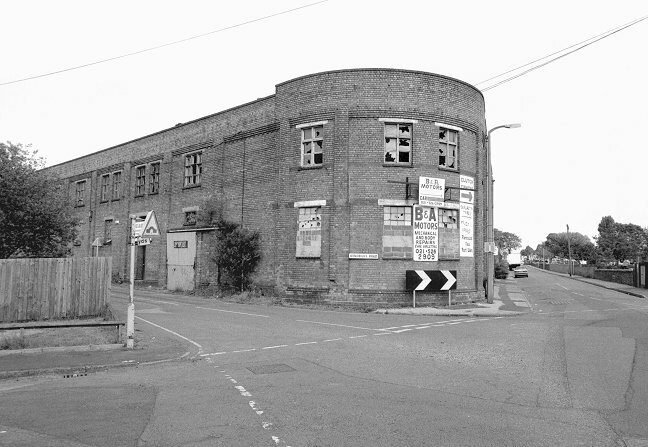 The factory stood on the corner of Cemetery Road and Kendricks Road. 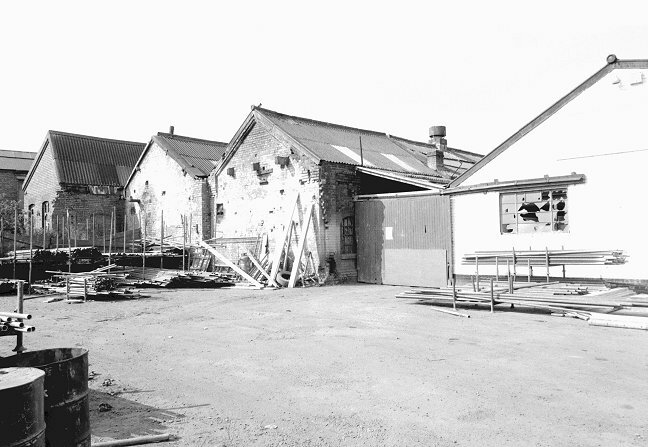 This part of the factory was a later extension, built in the early part of the twentieth century. 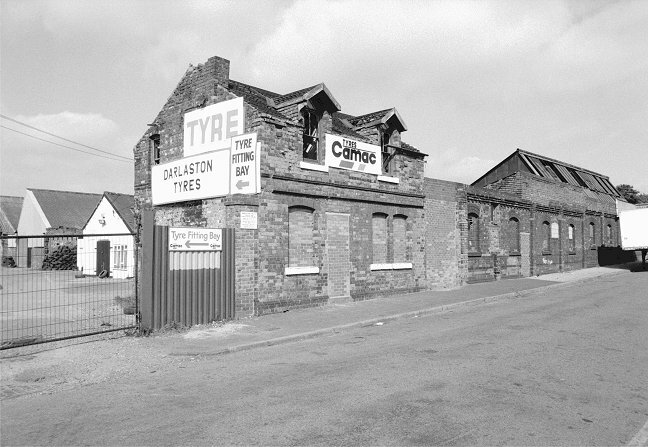 A view of the rear of Darlaston Nuts and Bolts. On the left is the newer extension, whilst straight ahead is one of the original buildings that are marked in the 1884 map above. The factory was demolished in 2006. 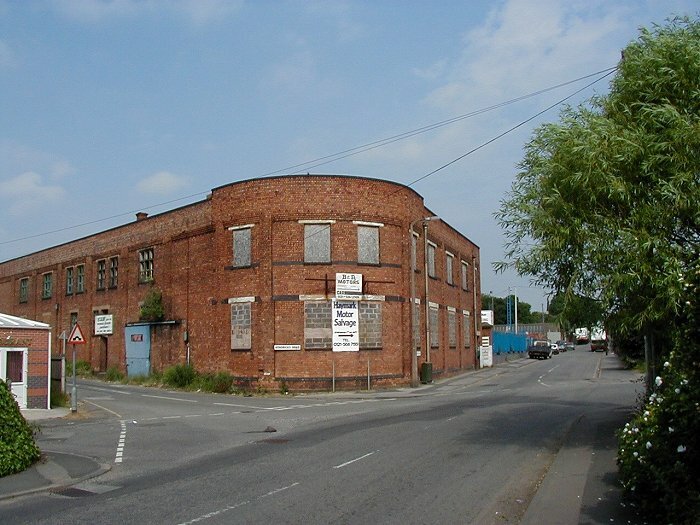 Another view of the factory, looking up Kendricks Road from Cemetery Road. The main factory yard with one of the original buildings on the left, and several of the later additions on the right. 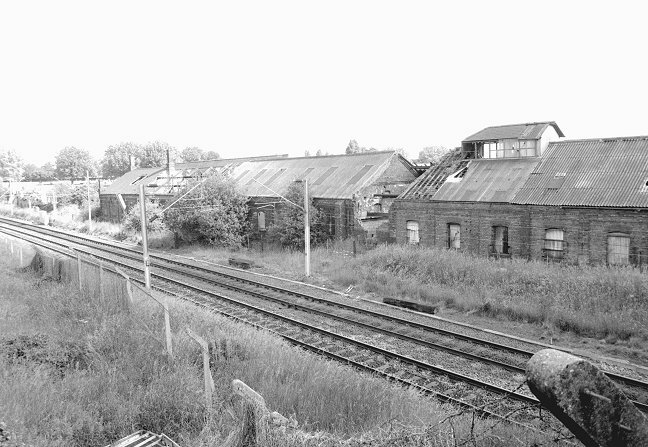 A view of Darlaston Nuts and Bolts from the railway bridge in Kendricks Road. 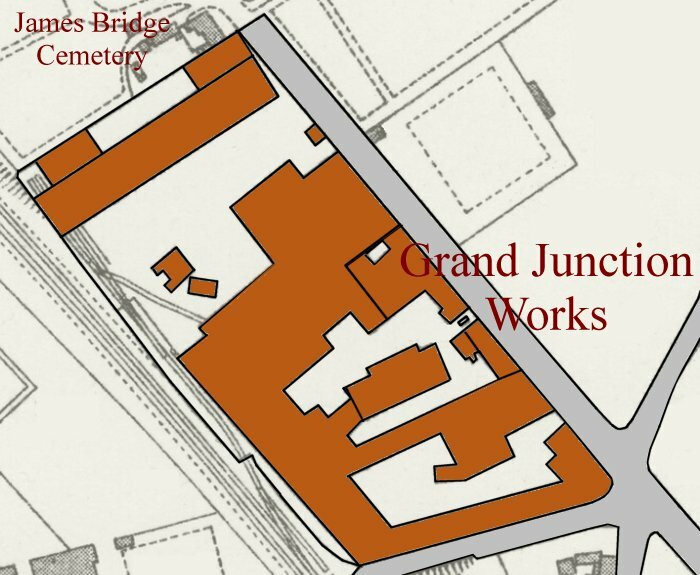 The factory, originally called the Grand Junction Works was named after the railway (originally the Grand Junction Railway) and built there because of it. The building on the right can be seen on the 1884 map, whereas the ones on the left are much later. 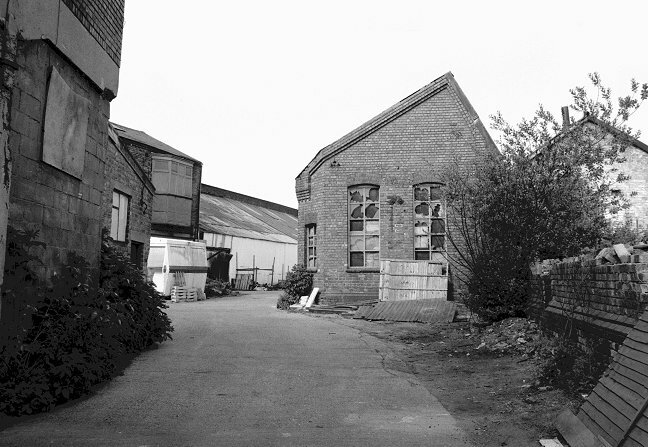 Some of the last buildings from the Grand Junction Works in Cemetery Road. They were demolished in the late 1990s. The two buildings alongside the road were some of the earliest buildings on the site. 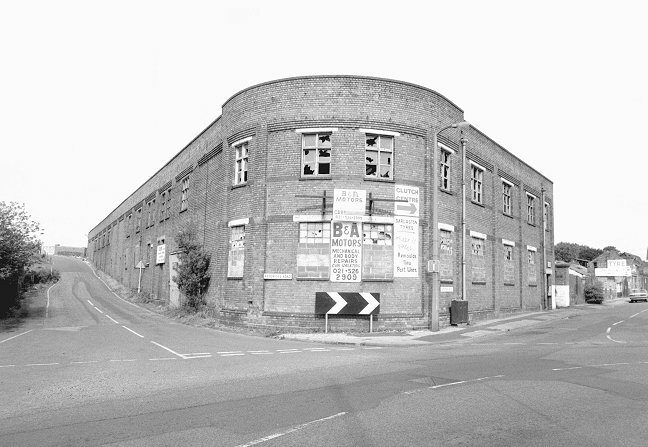 A view of the factory from 2002, looking up Cemetery Road with Kendricks Road on the left. 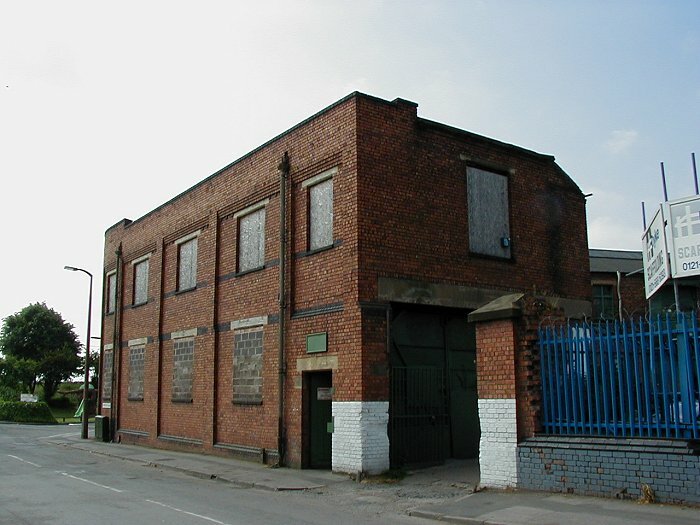 The front of the works in Cemetery Road. Another view of the factory from Cemetery Road. 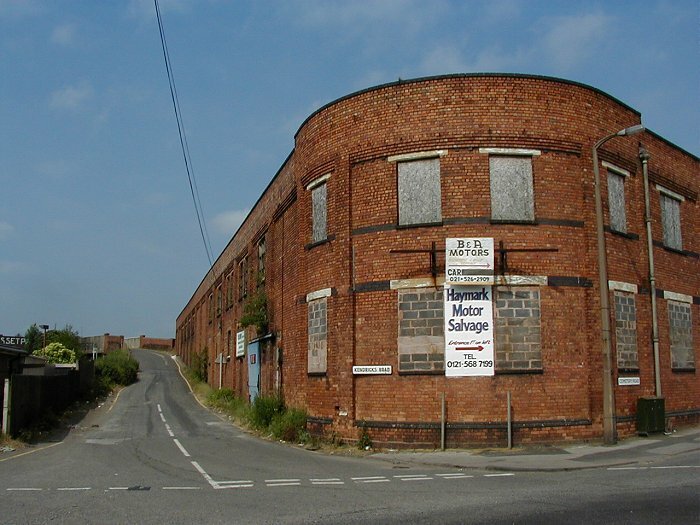 A final view of the factory, looking up Kendricks Road from Cemetery Road.